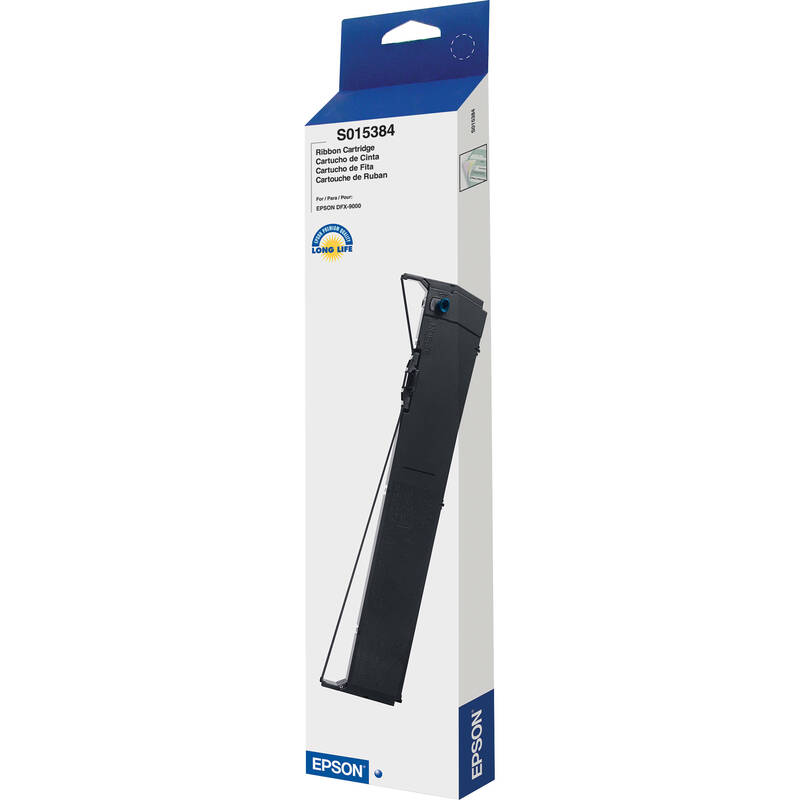 Keep your DFX-9000 impact printer up and running with this replacement S015384 Black Fabric Ribbon Cartridge from Epson. The cartridge will help produce 15 million characters at 14 dots/character. Additionally, it has lubricating agents that will extend the life of the print head. Box Dimensions (LxWxH) 24.5 x 5.5 x 1.6"